Official Bio: As with most musical endeavors, Redcoats started in a suburban lounge room back in 2007. Rhys and Andrew, who travelled through primary and high school together, were later joined by vocalist Emilio. 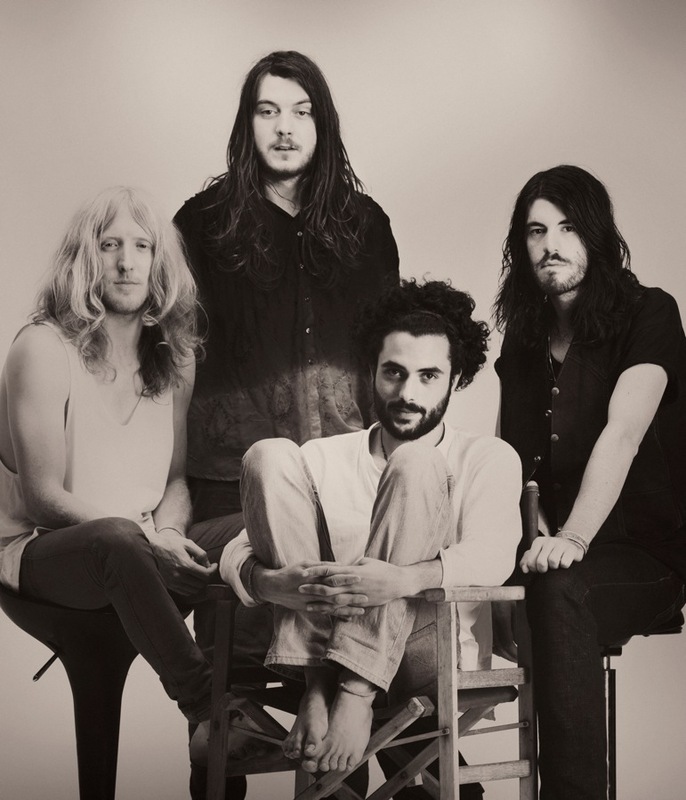 They gradually worked their way from the lounge room into the thriving Melbourne live scene. In 2009, Neil moved from the country town of Bendigo and landed in the middle of this jamming trio. Redcoat’s new musical direction, drawing influences from bands such as Kyuss, Black Sabbath and Black Mountain, soon started to take shape. After only 2 months of coming together as a four-piece, Redcoats launched their new sound with a residency at The Evelyn. A few months later, Redcoats worked with Rob Long at Birdland Studios to record their first collection of songs together. The Redcoats live show continued to develop and after a serious amount of gigging their name started to spread around the traps and their fan base became larger and more responsive. In September 2009, they returned to The Evelyn to play to a sold out crowd and launch their new music. 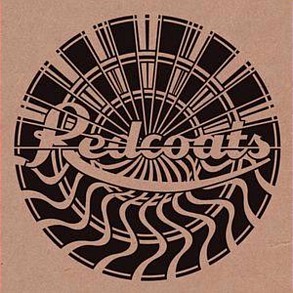 In 2010, Redcoats made the decision to drop everything and focus solely on their band. Early in the year Premier Artists came on board as the band’s national booking agency. After deciding the best place to create their tunes was tucked away in the isolated bush, Redcoats headed off on a series of writing trips in regional Victoria. Following some great gig experiences including Bass In The Grass (Darwin), Redcoats returned to Birdland Studios in July 2010 with some new tunes under their belt. With growing industry awareness of the band, Redcoats were invited to showcase at International Music Conference One Movement in Perth in October 2010. Later that month they signed with their Management team, Blue Max Music. As Giants circulated across triple j and Rage, Redcoats ended 2010 with a gig at Pyramid Rock Festival and Violent Soho on NYE. Starting 2011 with a bunch of post summer ideas, Redcoats headed out for another bush trip to craft some more tunes. They again returned to Birdland Studios to begin mixing their debut EP with Lindsay Gravina. In March, Redcoats released their debut single Dreamshaker which was added to the triple j playlist. The week after the release of their debut single, Redcoats headed out to tour nationally with legend rockers Stone Temple Pilots. Redcoats returned home and sold out their single launch show at The Tote. With their Self Titled EP out now, the Redcoats have been out on a national tour with Calling All Cars and Boy In A Box. In October the band are heading up to Newcastle for the Fat As Butter Festival on Saturday October 22nd also featuring Empire Of The Sun, The Living End, Calling All Cars, British India Cloud Control and Naughty By Nature. Whilst out on tour somewhere in Australia, Redcoats bass player Rhys Kelly answered our “hard hitting” questions! Hey guys thanks for taking the time to do this interview. First things first, you are currently a few shows into a National tour with Calling All Cars and Boy In A Box, how has this big tour of rock been going so far? So far the tour has been going extremely well, great crowds and rockin’ responses. We’ve had the chance to play and explore new cities such as Hobart, Byron and Gold Coast. This tour also marks our third time around Australia this year so we’ve been able to mingle with some of our fans again and hear their insights/feedback about our live show and EP. The Calling all Cars guys are nice dudes, great players and put on a tight performance which makes playing shows and touring heaps more enjoyable. We all very much looking forward to playing the remaining shows. Now let’s start with some general introductions first – what brought the band together and what was the inspiration behind the band name? Myself (Rhys-bass) and Andrew (drummer) went to high school together. We started jamming on weekends in Andy’s lounge room in our late high school years. We met Emilio (singer) through a bunch of a mates during the same period, thought he had a special distinctive voice and invited him to some weekends jams. A couple years later we met Neil in a seedy Melbourne alley way and started the “Redcoats”. The band name was inspired by our obsession with the ‘war of independence.’ We love history. Rhys Kelly, bass player, THE bass player. When I wake up in the morning I like to take a cold shower and walk my pet dog guppy. Neil Wilkinson, guitarist, his all time favourite human invention is the qwerty keyboard, he claims without this, his finger shredding skills would not be half as good as they are today. Andrew Braidner, beatmaster. Earliest childhood memory was recently erased and can now only remember the previous half an hour at any time. Emilio Mercuri, vocals. His life’s goal is to visit a land where there are no oranges, he has a fear of oranges that would rival any. You have twenty seconds in an elevator to try and convince someone to listen to your new EP…what do you tell them? EY! If you like your rock n roll with fast ugly riffs and dirty tones then you should listen to the Redcoats EP really, really loud!! ……………………………………………………………………………………………………………………………………………………………………………………………………………………………………………………………………………………………………………………………………………………………………………………….. and really, really stoned! Speaking of the new EP which has been out for a few weeks now, how long did the process of writing and recording the songs take? The EP is a collection of two recording sessions that we at Birdland studios. The songs ‘Giants’ and ‘Dreamshaker’ we wrote in our first ever jam session with Neil which was about 2 and half years ago. It was a special day for us! The other tracks were chosen from a collection of songs that we wrote together over the last 12 months during our remote writing sessions. I read that you spent the majority of your writing sessions in regional Victoria…what did you specifically feel being located amongst the “Aussie bush” would deliver for your writing sessions? Bush = isolation, isolation= cabin fever, cabin fever= temporary insanity, the rest speaks for itself! In terms of your songwriting, what do you consider to be the most important ingredients that need to be present in an Redcoats song? Riffs or grooves or riffs that groove and most importantly a collective vibe. A song is usually scrapped if one of us is not vibing it. We are strong believers in the pentagram effect. Four forces working as one! Redcoats are a jam band so all of the creativity that goes into our songs is equally contributed by all of us. Neil and I will come into a jam session with riffs, chord progressions and other motives that we all than collectively build and jam from. The structure of the songs is usually determined by the journey of the jams and exploring which ideas will work with each other. Some songs will just write themselves, other times songs are put through the same process as putting together a jigsaw puzzle. You have a pile of jigsaw pieces (song ideas), we then sort through all the pieces to see what fits. Sometimes we complete the puzzle and we have a song, other times the puzzle/song gets boring and frustrating and it’s thrown back into the box. Further on your songwriting, are there any key lyrical themes that translate through into the songs on the EP? I think cycles and also nature are quite prevalent throughout. What or who would you say inspires/influences your music the most and do all band members share a similar bunch of influences? We are all strongly influenced by late 60’s, 70 classic rock. Obvious bands such as Hendrix, Zeppelin, Pink Floyd, Sabbath, Deep Purple, Allman Bros. However we’ve also been heavily inspired by the wave of psych rock bands that have been surging around the last 6-7 years. Those bands include Black Mountain, Dead Meadow, Earthless to name a few. These modern rock bands share similar traits and elements to those of the 70’s bands. Redcoats are in ore of both! And of course the great Miles Davis. You have already released a couple of visually strong video clips for the tracks Giants and also Dreamshaker off the EP. Did the creative vision for these videos come from directly within the band yourself? Most of the creative vision for our film clips comes from our friend Sam Frederick who has done other great film clips for grinderman and gareth liddarth. Sam has a wonderful mind and vision when it comes to filming and working with our ideas, no doubt we will be using him again. For those reading this who haven’t yet had the pleasure, how would you describe the experience of being at a Redcoats live show? Super tight, super loud, super proud ……can you dig it! Now speaking of performing live, you have had the opportunity to play a whole bunch of different shows such as supporting Stone Temple Pilots, Pyramid Rock Festival, through to numerous appearances at local Melbourne venues such as The Tote and The Evelyn….do you have a favourite memory or show that sticks out so far? Supporting STP at festival hall was a very surreal and unforgettable experience, wont forgot that in a hurry even though it felt like a lifetime away. For the benefit of those reading this in galaxies far, far away, what do you have to say about the current state of the rock scene in Melbourne and for that matter, the rest of Australia right now? It once was mighty and strong, in recent times it has been in somewhat of a coma. Recently its toes started twitching and in the not too distant future we are hopeful it will wake up and get back to its glory days of ultimate strength. Music is the soul of our society and I believe it’s starting to shine again in Melbourne knowing that more people are supporting local gigs more so than the AFL.